Home • Videos • Detailed Biomechanical Exam! We are thrilled to make our patients like Bojan happy with their experience! 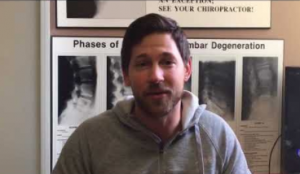 Check out this short video in which Bojan explains why his new patient exam at Back to Health was different than anywhere else! Personalized stretches and exercises based on your exam results – following your exercise and stretching program will help you recover faster! At Back to Health, we ensure that each patient receives a comprehensive and educational experience! Your health and understanding of your health are important to us. Call us to book your new patient biomechanical exam now! Check out this video from Totic on our detailed Biomechanical Exam!